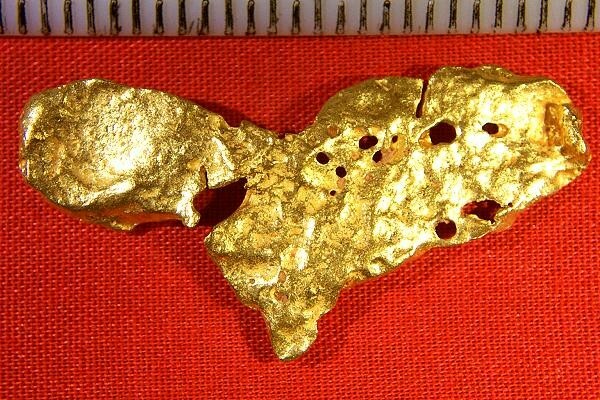 This is a super nice natural Gold Nugget that was found by a gold miner in Western Australia. Check out the incredible color of this beauty. Jewelry/investment grade Australian gold nuggets like this one are hard to find for sale and they have incredible color because they are very pure, usually about 23 KT (94% to 98% pure). Jewelry/investment grade nuggets are the highest grade you can find. 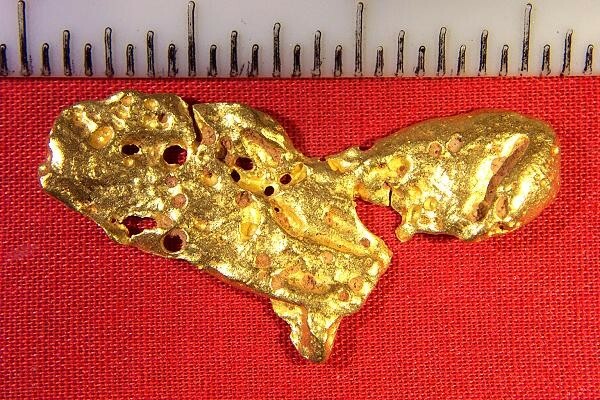 This flat and gorgeous raw gold specimen is very long at 1.5" (40 mm). Because it is thin and flat it has a huge surface area for the weight. The weight is 8.3 Grams. It is clean and free from host rock or mineralization. What better way to invest in gold than to buy natural gold nuggets. The rarity protects your investment and gives you great upside to the gold price.